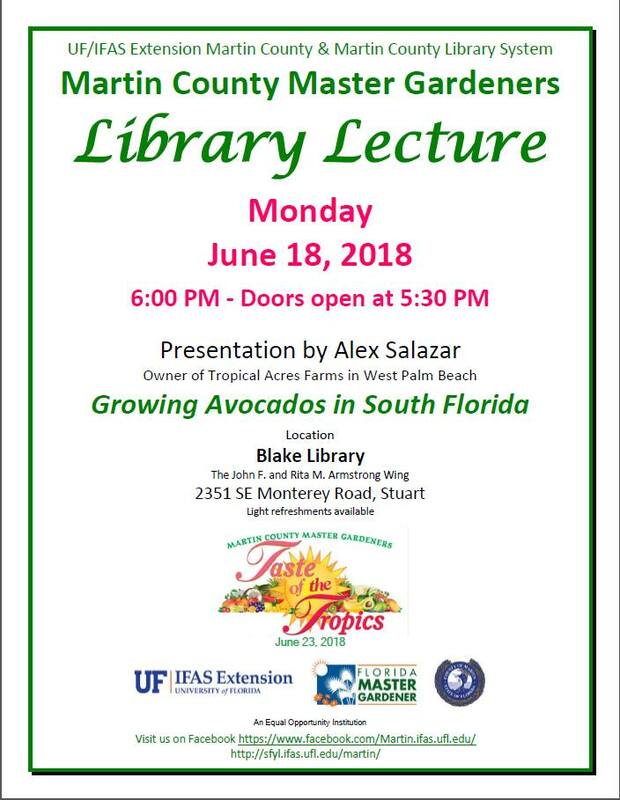 The UF IFAS Extension Martin County Master Gardeners Library Lecture series on Growing Avocados in South Florida will be held on Monday June 18, 2018 at the Blake Library. The presentation will be featuring Alex Salazar, the owner of Tropical Acres Farms in West Palm Beach. Doors open at 5:30p and the presentation starts at 6:00.